It's been a busy past few weeks for Los Angeles' Todd McHatton. Last week saw the release of his (first) EP and animated show with Mista Cookie Jar as part of Todd and Cookie. 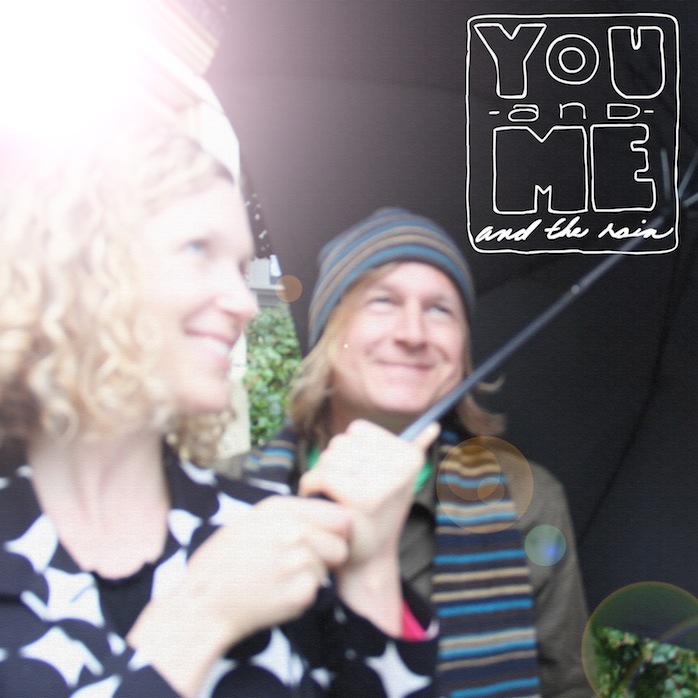 This week, another new band he's a part of, You and Me and the Rain, is unleashed upon the world. His partner in this effort? Portland's Lori Henriques. The first product of their collaboration is a duet about Halloween creativity called "For Halloween This Year," though to call it a "duet" sells it short by half, as both Henriques' older child and McHatton's younger one make vocal contributions. The idea of combining Henriques' jazz and showtune sensibility and McHatton's psychedelic kindie was not obvious to me when I first heard of it, but their shared taste for nifty wordplay ("is rogue in vogue this year?") and their well-matched vocal tones shows that this could be very fruitful. What could come from this? It's fun not knowing. In any case, I'm pleased as punch to present the world premiere of the song's video, directed by Gina and Todd McHatton and offering low-cost, high-imagination costumes for Halloween (or anytime of year). Posted in Videos and tagged with Todd McHatton, Lori Henriques, You and Me and the Rain, Portland, Halloween. October 1, 2013 by Stefan Shepherd.